The cat’s out of the bag! A major success secret to multi-level marketing, such as your Young Living business is goal setting. Building your business through Young Living is a commitment that requires some time and perseverance. How do you also make it a success? Set your goals for your business. Your goals will give you the motivation to work and keep you focused. Keep reading to for the key info on how to set and meet your Young Living business goals that you never imagined possible! You may have heard about SMART goals over the years or even on the Young Living Blog (also referred to as SMART criteria or SMART objectives). Whether you’re familiar with the mnemonic device or not, it’s time to put this practice to work. SMART goal setting can add clarity, focus, and purpose to building your (Young Living) business. Your SMART goals should begin by answering specific questions of who, what, where, when, and why. Ask yourself the following: is it clear what the objective is? Is it clear exactly what I mean? Also determine the Who, What, Where, When, and Why: Who is involved? What do I want to accomplish? Identify a location and establish a time frame. Decide specific reasons, purpose, or benefits of accomplishing the goal. Why? Setting a specific goal or objective has a much better chance of being accomplished than a goal that is general. Goals should be quantifiable so you can track your progress. Ask yourself the following: how will I know if I’ve achieved the objective? How will I measure my success? Why? When you measure your progress, you stay on track, reach your target dates, and experience the exhilaration of achievement as you continuously put in effort to reach your goal. You should be able to evaluate whether your goals are realistic. Ask yourself the following: is it possible to achieve this objective? What do I need in place to make it attainable? Why? When you identify goals that are important to you, you begin to figure out ways that you can make them a reality. You can attain almost any goal you set when you plan your steps wisely and establish a time frame that allows you to carry out the necessary steps. In the end, you begin seeing previously overlooked opportunities to bring yourself closer to the achievement of your goals. Goals should be relevant to your life at this time. Ask yourself the following: Is this objective appropriate? Does it deliver wider priorities? Is it worth doing/Does it seem worthwhile? Why? This step ensures that your goal matters to you. It also aligns this goal with other relevant goals. Time-related or time-bounded goals should have a deadline to keep you on track and focused. Ask yourself the following: by when am I going to achieve this? Why? Setting a timescale provides focus and urgency. Clarify when you tend to achieve the objective and make the deadline more than just a wish. Goals are easier to deal with and take on after they’re written down. Without this step, you may lose track of your goals, so don’t just let them float around in your head. Having them written down allows you to check where you’re at with each goal, and evaluate your progress. 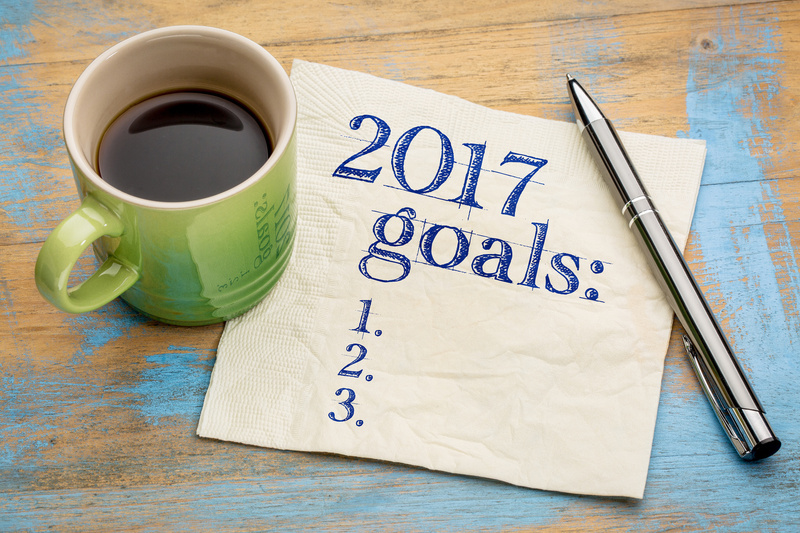 When you create written goals, you’ll also want to note the exact date. For instance, you may want to sell more Young Living than you did last month by the end of this month. Or, you may want to take advantage of Young Living Social Media and gain a certain amount of followers in a specific number of days. Whatever it may be, mark the specific day on your calendar when you want to accomplish your goal(s), and look at it every day. This way, you’ll see the date getting closer and closer. In turn, your deadline will propel you to work harder and be more persistent. Your Young Living business goals will fall into two separate categories. These categories include short-term goals and long-term goals. For your short-term goals, you’ll want to ask yourself: in the next 6 to 12 months, what do I want to achieve for my Young Living business? Short-term goals are monetary and personal. For instance, is there something you’ve been saving up for? How many months do you want to set as your goal to increase your Young Living sales enough to purchase it? Or, if you want more leads, how about giving yourself a number of leads you want to convert by a specific date? Choose a goal and a date, and jot it down. Long-term goals look further into the future. These goals will take more than a year to accomplish. Your long-term goals need to be something that you stretch outside of your comfort zone in order to accomplish. Did you have big dreams when you were starting your Young Living business? Identify what they were and turn them into your long-term goal. What you see is what you believe, right? It’s why some of us stopped believing in the allusive Santa Clause as a child, but it’s also what helps you move forward toward the victory of your goals when you envision your success. 1. Create visual reminders while goal setting. Create a goal board or a vision board. Use this to hold all the things in your life that you’re working toward. Do this to create a constant visual reminder by taking a snapshot of what you’re working toward, and/or who you’re working for. Then, throw it up on the goal board. Another way to create visual reminders is to paste pictures in your planner. When you’re looking at your planner for the day’s agenda, the images you’ve included will motivate you to take action that day and forge ahead. Visualize your goal and focus on it daily. This will increase your belief, and it will keep you committed. When you share your goal with someone. Whether it is a spouse, a sponsor, or whoever, make sure that person is an accountable partner. For instance, choose someone who is also in the Young Living business who’s committed to remaining positive, someone who’s collaborative, and someone who’s working toward something similar as you. It’s up to you to create a vision that inspires action. Enlarge your vision to one that ultimately leads to accomplishment for you. To enlarge your vision successfully, you must see yourself rising to the top. You have to see the reality of yourself accomplishing your Young Living business goals. If you conceive it and believe it is possible, you are more likely to experience it. How have you worked toward your Young Living business success in the past? How do you plan to revamp your approach toward your Young Living business in the new year? No matter what your method may be, we want to hear about how your tactics and how they turned out in the comments below!